Aussie Aussie Aussie…..So tomorrow night you are sitting around with your friends watching the Opening Ceremony;- this blog is to help you appear very smart with the essential things you need to know about the Olympics. 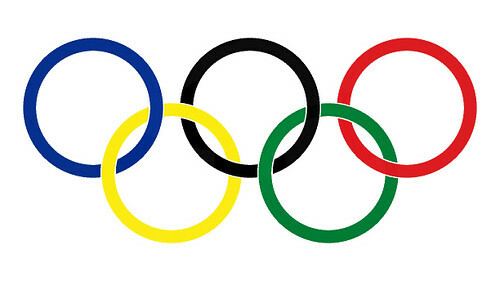 1) The Olympic motto is the Citius, Altius, Fortius, which is Latin for “Faster, Higher, Stronger”. 2) A more informal but well known motto, also introduced by De Coubertin, is “The most important thing is not to win but to take part!” De Coubertin got this motto from a sermon by the Bishop of Pennsylvania during the 1908 London Games. This reminds me of the quote – “Whoever said it’s not whether you win or lose that counts – probably lost.” Love it. I had heard that the colours of the rings represented all the colours of the flags of the Nations that compete – this is actually a myth. Prior to 1951, the official handbook stated that each colour corresponded to a particular continent: blue for Europe, yellow for Asia, black for Africa, green for Oceania and red for America (North and South considered as a single continent); this was removed because there was no evidence that Coubertin had intended it. 4) The modern tradition of moving the Olympic Flame via a relay system from Greece to the Olympic venue began with the Berlin Games in 1936. Months before the Games are held, the Olympic Flame is lit on a torch, with the rays of the Sun concentrated by a parabolic reflector, at the site of the Ancient Olympics in Olympia, Greece. 7) In London there are 302 Gold Medals on Offer. 8) Australia has 410 athletes competing in the London games. Given Australia has a population of only around 20 million people (ranked 53rd in the world – I think that makes us champions of the world. There are 23 Countries on equal last having only one 1 medal ever. As 200 countries compete – that means that there is about 80 countries who compete, but have never won an Olympic. 10) There are total of 9877 medals that have been given out at the Summer Olympics and that makes an average of 85 per country. That makes Australia well above average. 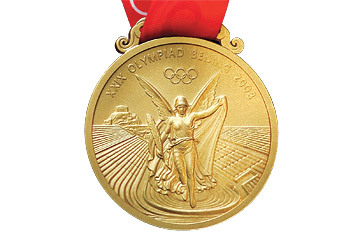 11) The Olympic medals awarded to winners are another symbol associated with the Olympic games. The medals are made of gold-plated silver (commonly described as gold medals), silver, or bronze, and awarded to the top 3 finishers in a particular event. Each medal for an Olympiad has a common design, decided upon by the organizers for the particular games. From 1928 until 2000, the obverse side of the medals contained an image of Nike, the traditional goddess of victory, holding a palm in her left hand and a winners crown in her right. This design was created by Giuseppe Cassioli. For each Olympic games, the reverse side as well as the labels for each Olympiad changed, reflecting the host of the games. 13) Australia hosted the Summer games twice. In 1956 in Melbourne and in 2000 in Sydney finished 3rd and 4th in the respective medal counts. Thanks for that Pete, such a mine of information …you know you’re gonna have to take that shirt off don’t you…just saying!